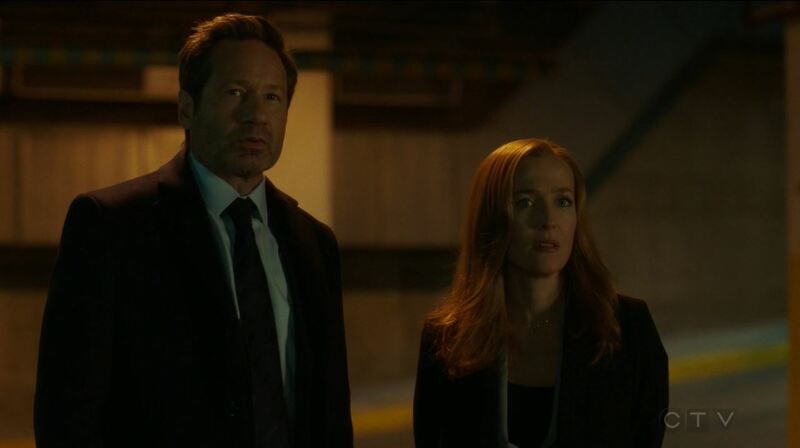 This week’s episode of The X-Files was totally not what I expected. In fact, I am not sure that I fully understand it. It is aptly named “The Lost Art of Forehead Sweat” after the conspiracy-theorist-of-the-week. 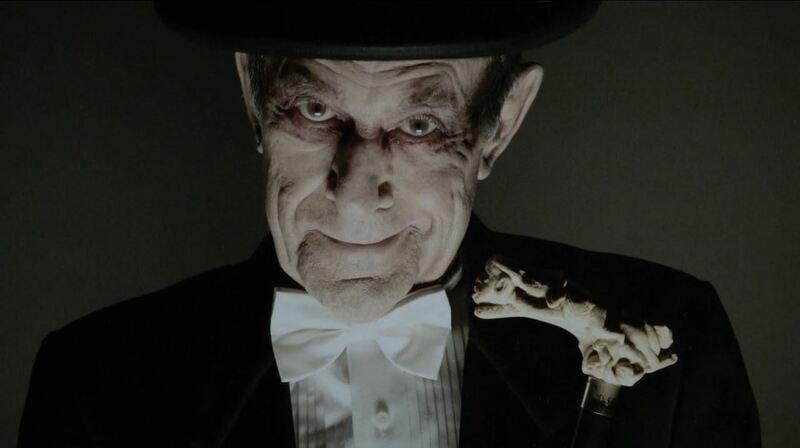 This episode has a fair share of absurdist humor common to X-Files, and it might be a little bit confusing at times. Nonetheless the episode is worth viewing twice just so you get it. It starts familiarly enough. 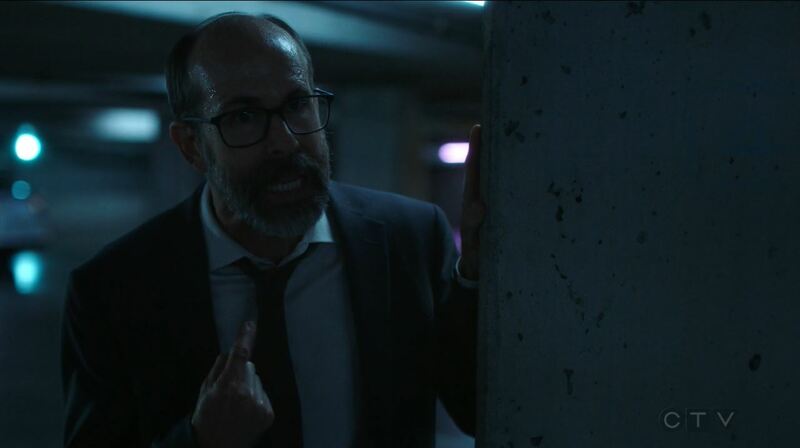 Fox Mulder (David Duchovny) meets a man named Reggie in parking garage. Their meet was arranged using the same method Mulder used with X 20 years back. Reggie starts spewing about a conspiracy in which “they” have altered his memory about aliens coming to Earth. 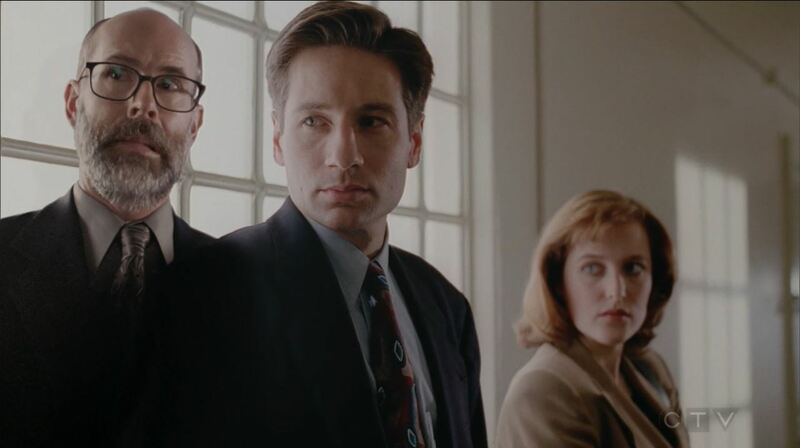 Mulder does not think too much about it. 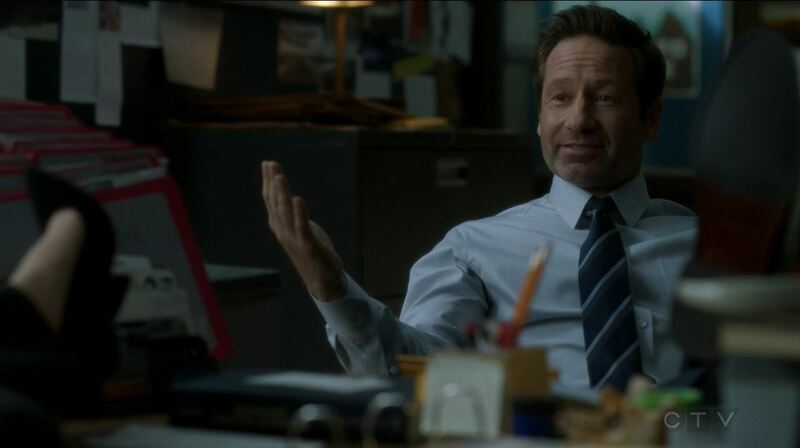 Until Reggie points out that an episode of The Twilight Zone, Mulder’s favorite, no longer exists. It has been erased from memory. Mulder attempts to find, in vain, a VHS copy of that particular episode, but fails. A skeptical Scully (Gillian Anderson) has a similar experience with Reggie but it is about a brand of Jell-O she liked in her youth. Despite the odd circumstances neither believe in Reggie’s theory about mind alterations. It is here that the viewer starts fermenting an idea about could cause the discrepancies. Mulder suggests parallel worlds while Scully suggests poor memories. Reggie’s story becomes even more absurd when he claims he is the third member of their team. This episode is interspersed with famous shots from previous classic X-files with Reggie inserted. This ends with a recollection of a first contact with aliens. What makes everything worse if that the man, Doctor They, who Reggie accuses of changing his memory and that of everybody else does not deny it. But he could also be nuts. The breakthrough is made by Scully. She discovers Reggie’s background. He served in the military and was wounded by a shovel in the Invasion of Grenada. Afterwards, and never having been the same, he worked in the government in various menial jobs. Until Reggie started working for the NSA, where he also listened in on illegal taps between Scully and Mulder. That is how he knew about Mulder’s favorite Twilight Zone episode and Scully’s favorite jell-O as well as all their case history. What Reggie did not know, because his mental health was declining, was that the episode of the Twilight Zone was actually from a knock-off show. And so the idea of parallel worlds is debunked. Reggie is truly crazy, which started with him being slammed on the head by a Cuban soldier / construction worker. Scully and Mulder merely remembered incorrectly those events from their childhood. I suppose the ultimate message of this episode was. “What happens if you cannot tell the truth because you are mentally ill”. Now this could apply to Reggie, but it could also apply to us all. Writer and director Darin Morgan, who has been attached to The X-Files since 1995, even uses quotes by Donald Trump in which he challenges the truth and then states he does not care. The episode ends with Reggie being taken back to the psychiatric facility from which he escaped. As he is driven away Skinner asks why they are taking Reggie away. That leaves viewers to wonder if Reggie was talking the truth or if Skinner was also taken in by Reggie. That was it for “The Lost Art of Forehead Sweat” an episode that in my mind is amongst the best of The X-Files. Say what you will about the revival – I think it is starting to find its feet.